Tampa Bay&apos;s urban core is a hip, happening place with lots to recommend. But the beauty of this destination is that the slow lane is just down the road. Go east, yon traveler, and discover some of the treasures that await away from the bright lights of the big city. 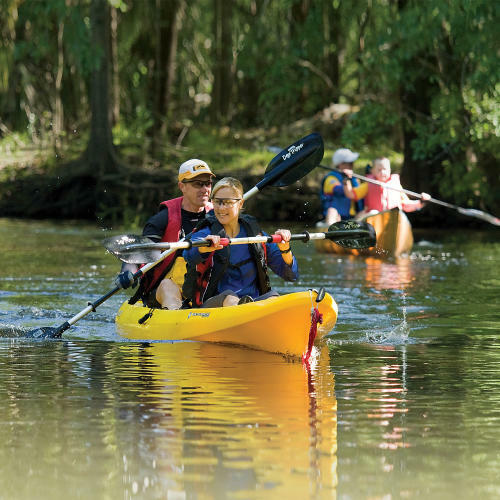 Ease your way into the unknown with a stop in Brandon, Tampa Bay&apos;s biggest suburb. Take Adamo Drive (U.S. 60) east to Falkenburg Road, then south a bit to Palm River Road. There, you&apos;ll find a complex of entertainment and shopping options that will keep you busy all day. 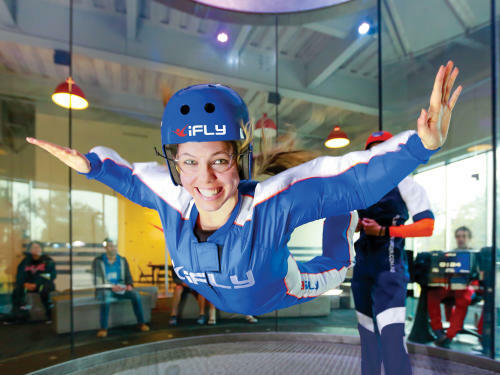 Start off with a jumpsuit and a flight of fancy at iFly Tampa, the area&apos;s only indoor skydiving facility. Why jump out of a perfectly good airplane when you can get the same feeling with your feet a whole lot closer to the ground? Afterward, hop across the road to Bass Pro Shops, a sprawling temple to all things outdoors. Backpacks, fishing poles, hunting gear -- it&apos;s all here. Get a taste of the Keys without the 6-hour drive at the store&apos;s in-house restaurant, Islamadora Fish Co. The it&apos;s back across the road to work on your back swing at TopGolf Tampa, which features a triple-decker driving range, restaurant and rooftop bar. 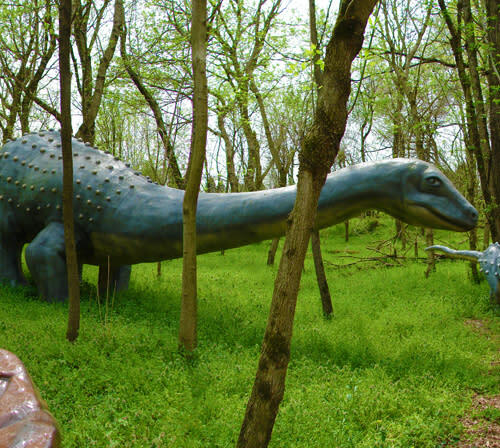 A few minutes east of downtown, the modern world disappears beneath a canopy of trees and a menagerie of prehistoric creatures. The parade of Brachiosaurus and an enormous Tyrannosaurus Rex standing guard by the highway exit will tell you you&apos;re in the right spot if you&apos;re looking for Dinosaur World. Unlike that *other* Jurassic park in the movies, nobody&apos;s on the menu here. These monsters are purely for show. The kids can try their hand at paleontology digging up their own dino bones. They can also get wet panning for gem stones in the park&apos;s sluice. Bring the pup along -- Dinosaur World is dog friendly. Southeast of downtown, the stacks of the Big Bend Power Station are a fixture on the horizon. But its at the base of those stack where the action is from November to April. That&apos;s when hundreds of West Indian Manatees seek out the spa-temperature warm water flowing from the power station for a little fun and frolicking. The thirty years, the manatees have been coming here. Today&apos;s the TECO Manatee Viewing Center gives visitors a chance to observe the gentle giants from a deck and a board walk as they crowd the pool. 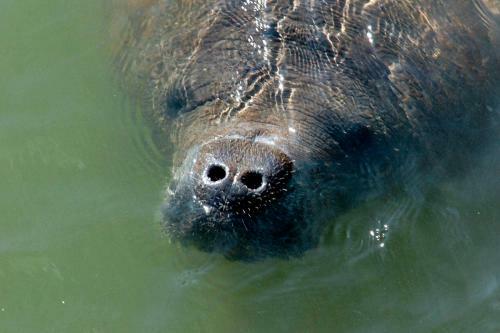 The facility&apos;s nature center includes lessons in the anatomy of manatees and a trip through the mangroves that border the water. Check the shallows for other cool marine life, such as eagle spotted rays and spinner sharks -- they get their name by jumping from the water and pirouetting in the air! Make your own adventure when you step off the beaten path and into some of Tampa Bay&apos;s best wilderness parks. The wide-open spaces east of downtown make great places to hike, paddle, or observe wildlife all around you. Alafia River State Park, a reclaimed phosphate mine, provides hilly terrain in an area that&apos;s otherwise pretty flat. The park is popular with campers, hikers, and mountain bikers, so bring your wheels or keep an eye out for riders. Hillsborough River State Park boasts Florida&apos;s only Class II rapids -- fun to navigate, but also enough to separate you from your canoe if you&apos;re not careful. The park&apos;s trails and camp sites are great places for passing the time slowly. Historic Fort Foster, a recreated military encampment, shows how soldiers lived during the Seminole Indian Wars of the early 1800s. The park also has a public pool. Both parks charge an entrance fee.